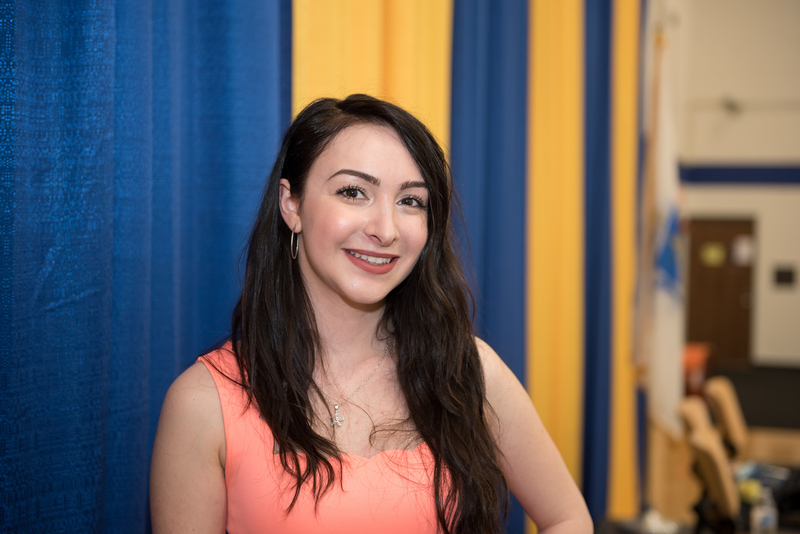 Five years after she dropped out of Methuen High School, Sabrina Hamel will celebrate her associate degree in respiratory therapy from Northern Essex Community College—which she earned with high honors—and a new job at Boston’s Children’s Hospital. Hamel doesn’t regret her decision to drop out of high school or her first attempt at college when her below passing grades got her dropped from financial aid. In high school, teachers told Hamel “You have so much potential” but a series of personal issues kept her out of school, and the absences stood between her and graduation. After a year spent working, she visited the Advising Center at Northern Essex, determined to get her education back on track. She shared her love of science classes and her desire to work with children and babies, and her advisors directed her toward health care, suggesting she begin by taking the pre-requisite courses. Nursing was her first choice, but her boyfriend’s mother and brother, both respiratory therapists and graduates of Northern Essex, talked her into giving their field a chance. Hamel credits Professor Jennifer Jackson-Stevens and the Respiratory Care Program at Northern Essex with helping her find meaning and direction in her life. Hamel hopes her story is an inspiration to others. “People need to know that it’s okay to mess up,” she says. Hamel will be awarded her degree at Northern Essex’s Commencement Exercises on May 19, and she will start her full time job at Children’s Hospital in July. In January, when she’s eligible for tuition reimbursement, she plans to continue on for a bachelor’s in public health from Southern New Hampshire University.